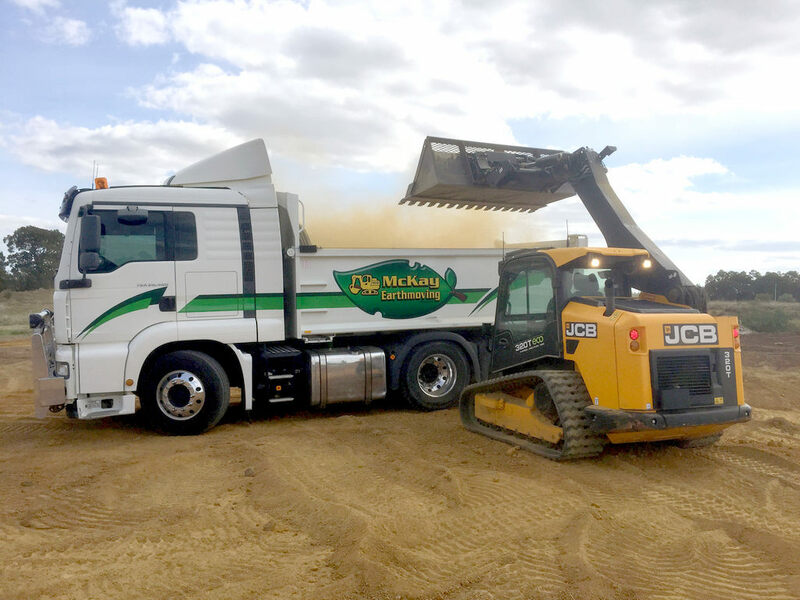 McKay earthmoving site clearing demolition service Perth. 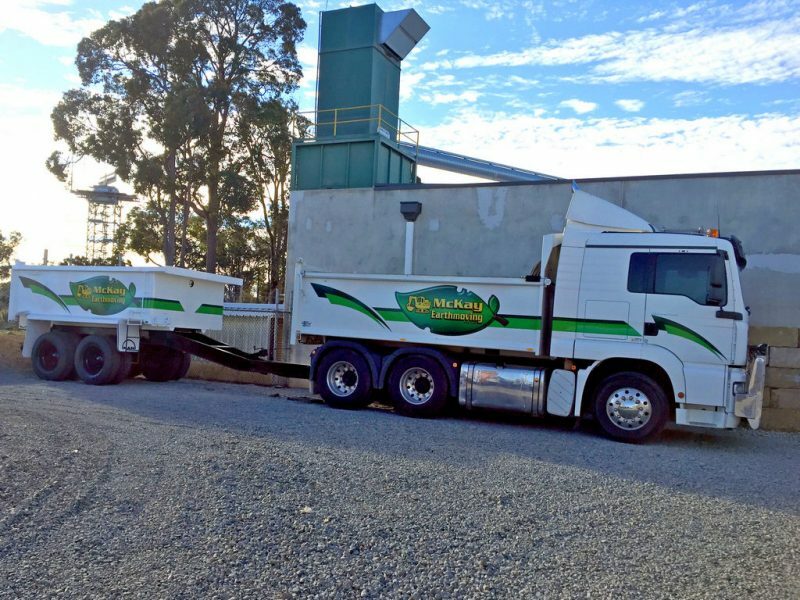 We can move a lot of earth with our truck. Even the young family members like to be part of the team! 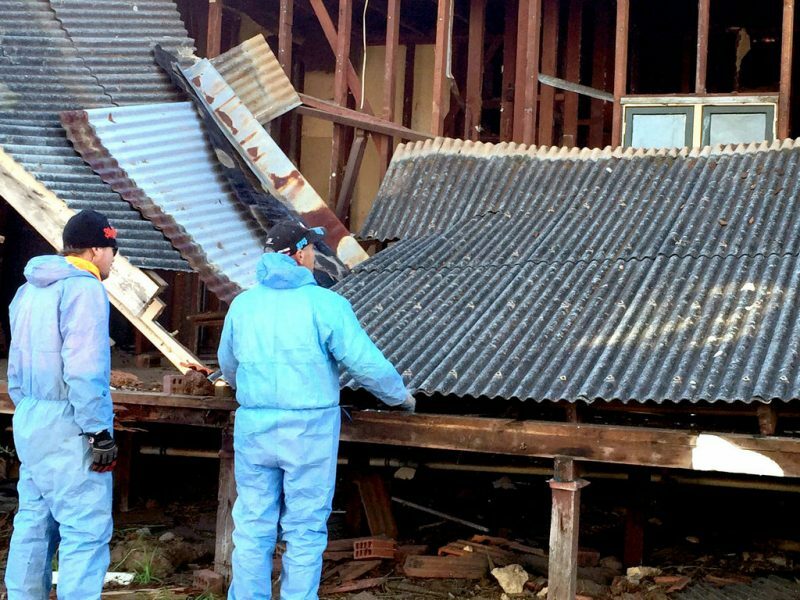 Demolition of house with asbestos roof. 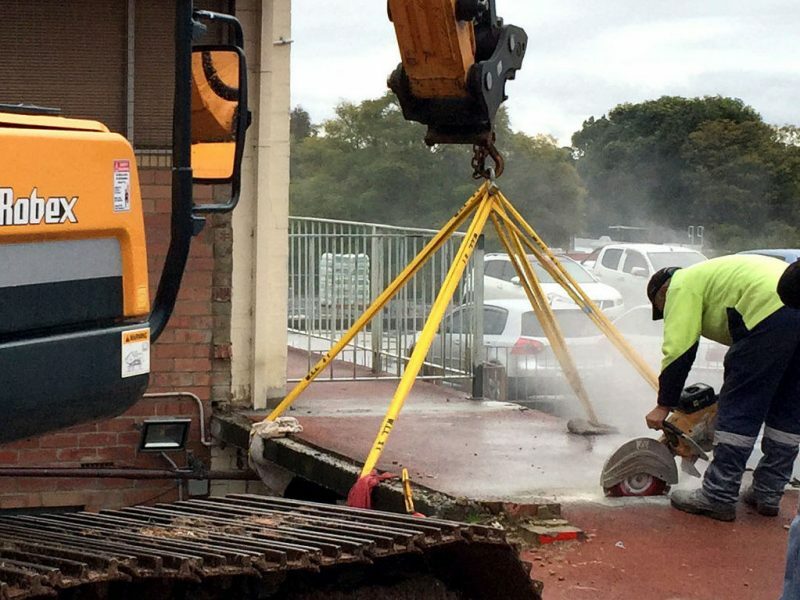 Demolition - taking it apart carefully with our tools. 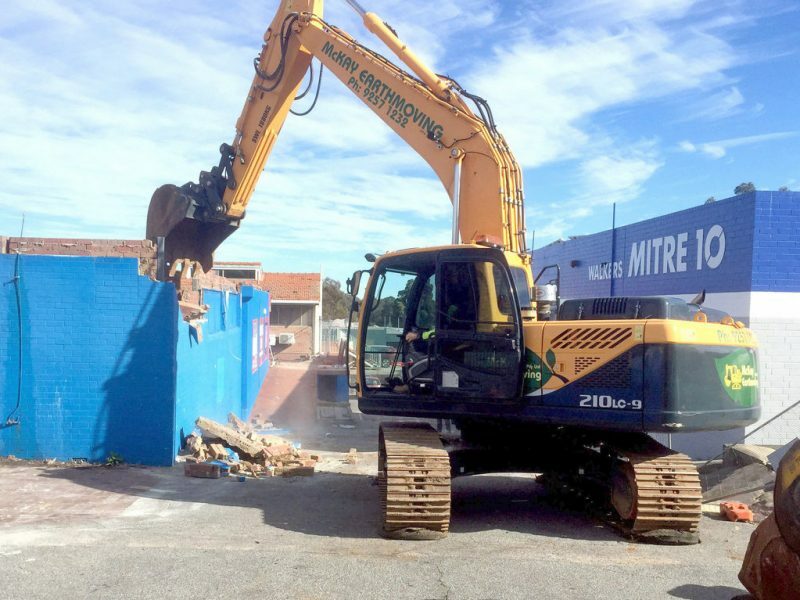 There goes the old Retravision building! 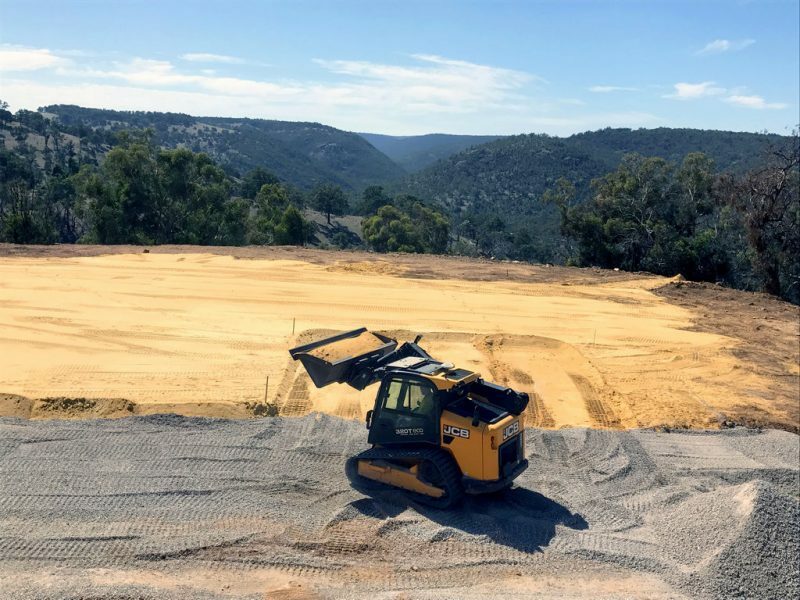 Our Speciality is that, though site works can be a destructible job, we work and retain nature through our careful planning of jobs and recycle as much material as we can. 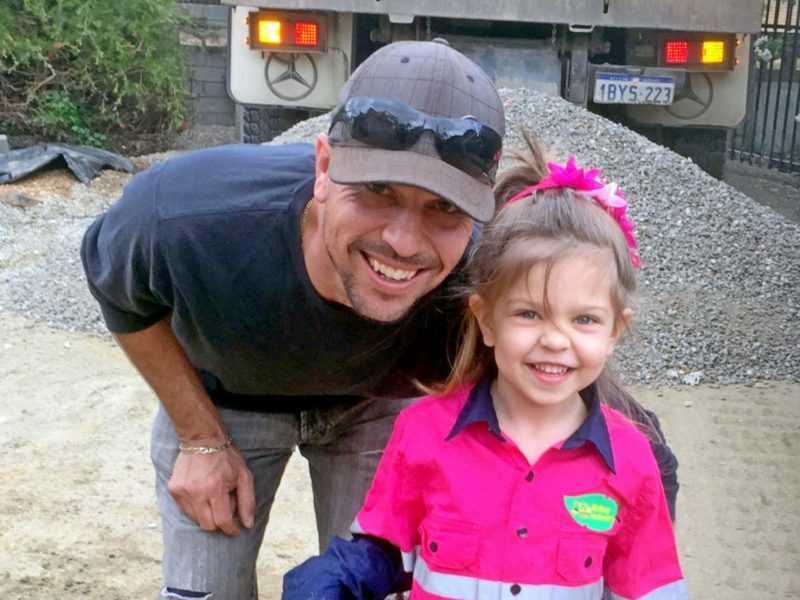 We have a long tradition of caring for the environment – both on your site and in the community. You can be assured of our quality service as we have been successfully in business for 44 years. 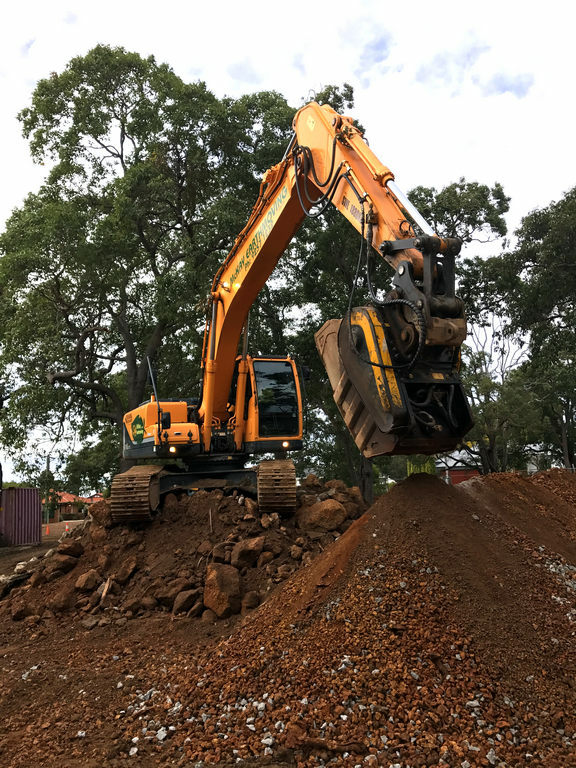 We proudly provide careful and efficient engineering, site works, earthmoving, plant hire, drainage, demolition and asbestos removal to our clients, new and old. 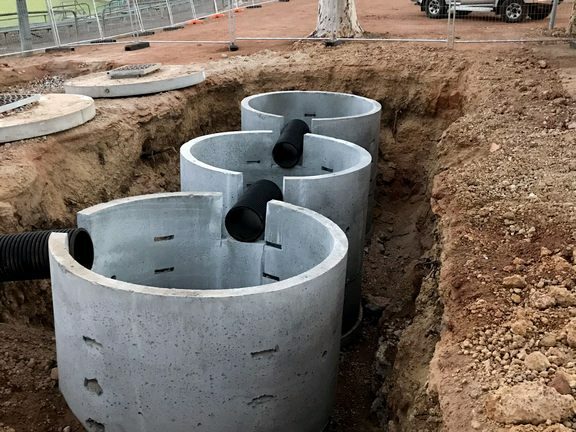 This is provided for new blocks, subdivisions and reworking. 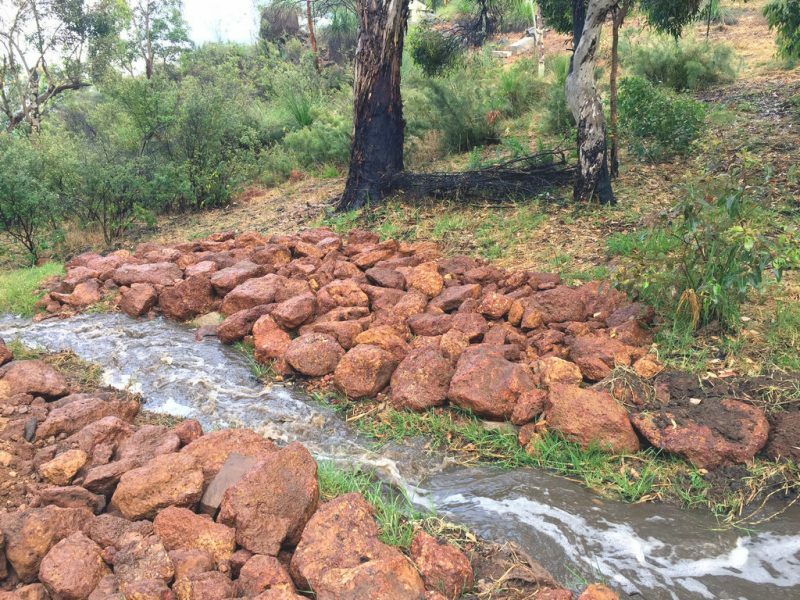 We can also provide the complete start to finish service for any projects from clearing to landscaping. 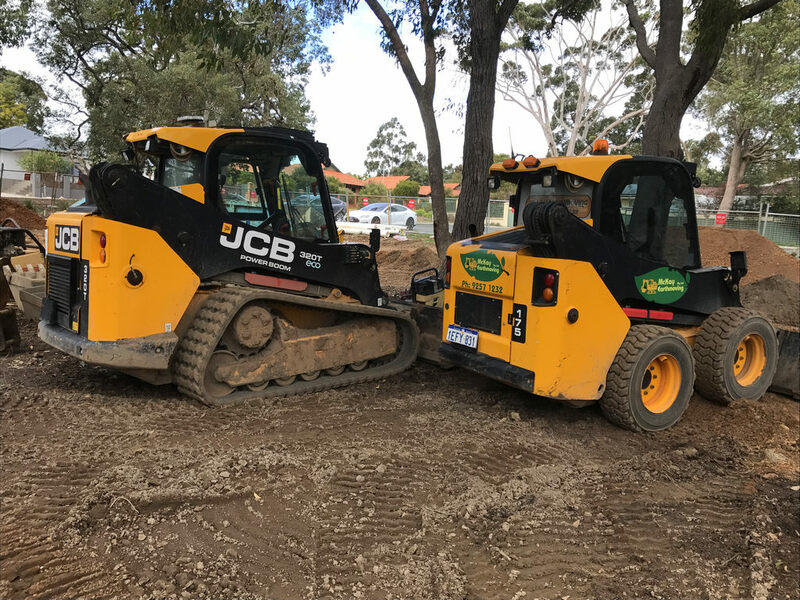 We have chosen the right equipment for all sized blocks for earthmoving and siteworks in Kalamunda, Perth Hills and beyond. 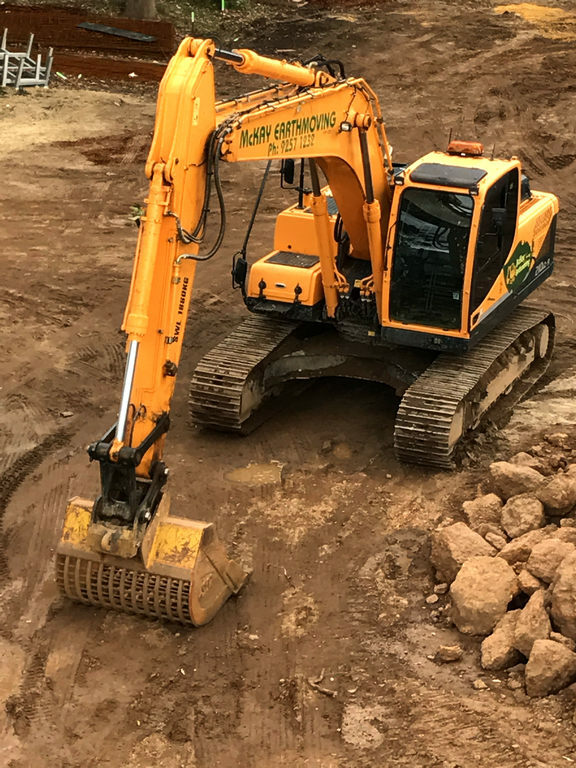 Some of our equipment is shown above with more detail available from our Siteworks and Earthmoving page. 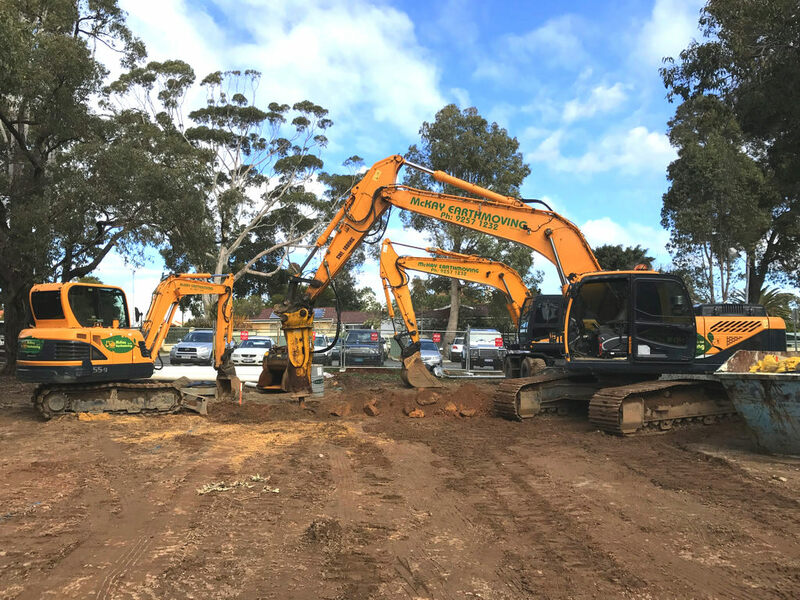 Our big range of excavators. 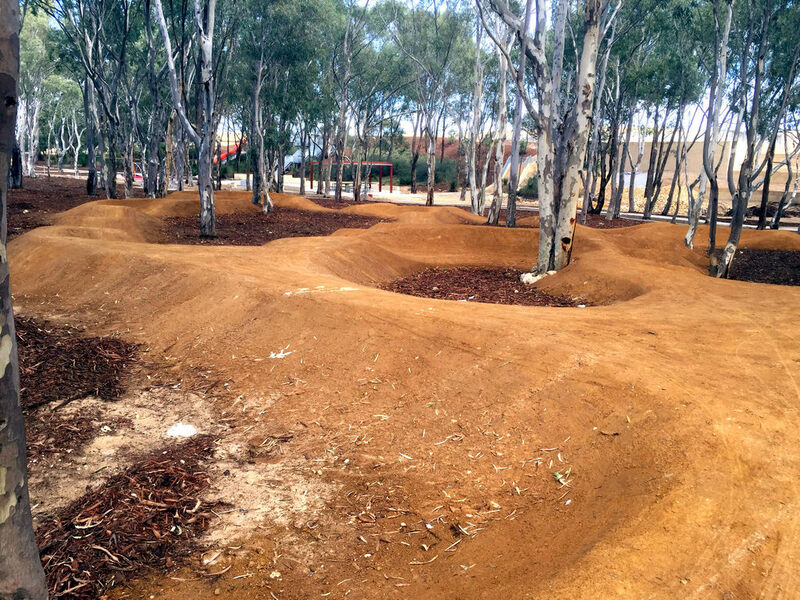 The trees are protected on this BMX track!